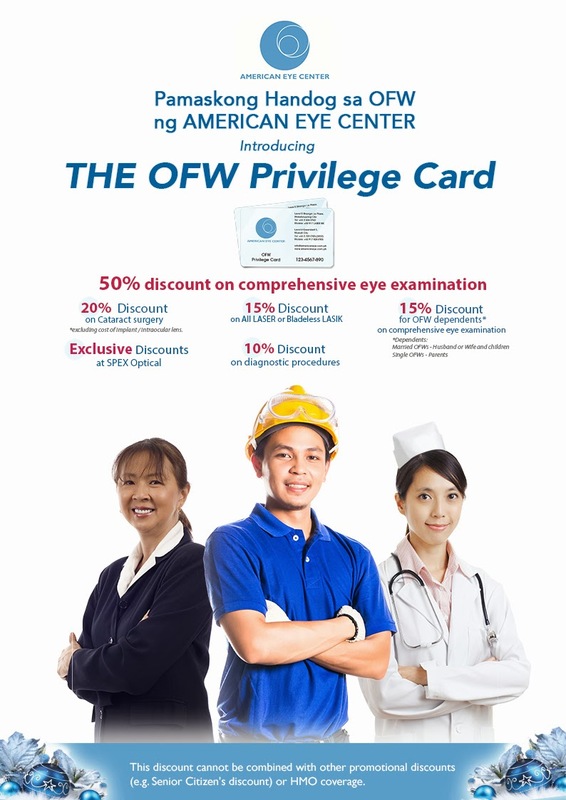 recognition and we do that by offering quality eye care for them and the rest of their families through our exclusive OFW Privilege Card,” says American Eye Center’s COO Dr. Benjamin Cabrera. The card also offers exclusive discounts at American Eye Center partner SPEX Optical. All OFW’s need to do is set an appointment and present valid overseas employment documents to avail of these unlimited discounts starting December 2013 to March 2014. “American Eye Center honors OFWs with this privilege because we believe and respect the sacrifices they make to provide a better life for their families. In order to do so, these modern day heroes need to be physically up to take on this challenge which is where eye health comes in. They deserve nothing short of optimum eye health to achieve overall well-being,” Dr. Cabrera Excellence in Ophthalmic Care American Eye Center has been breaking new ground in ophthalmic care since its establishment in 1995. American Eye Center’s level of excellence is backed by the Associated Eye Specialists, the most experienced and longest-running EyeMD group practice in the country, composed of 17 doctors extensively trained in various ophthalmic subspecialties. The Center is also staffed with highly qualified optometrists, nurses and counselors to provide patients with personalized quality eye care. 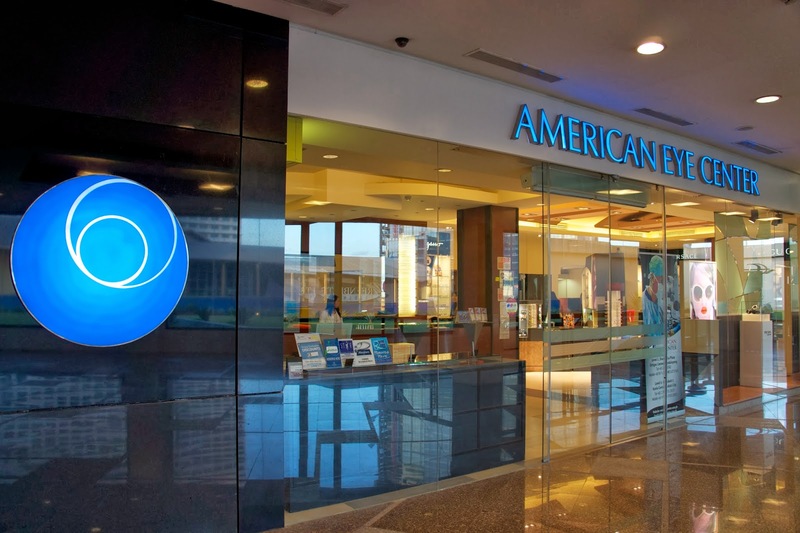 American Eye Center is a full-service diagnostic, therapeutic and surgical eye facility fully accredited with the Department of Health and the Philippine Health Insurance Corporation. Center and Managed by The Optical Shop. 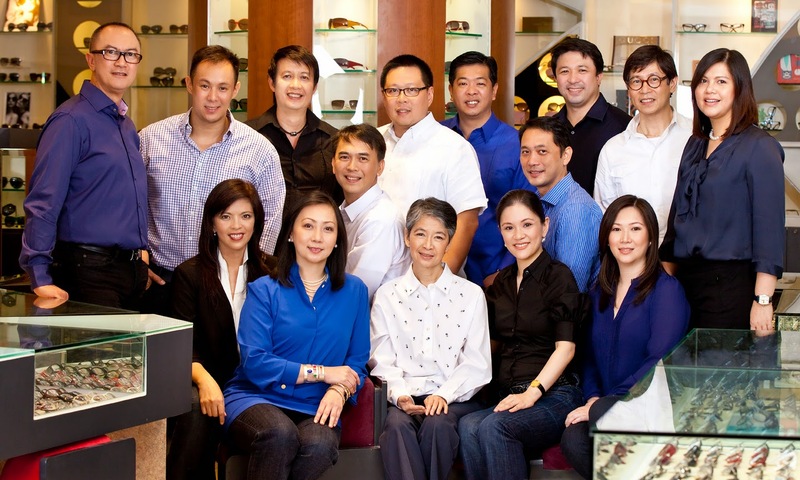 The company’s main office is located at the level 5, Shangri-La Plaza, EDSA cor. Shaw Blvd., Ortigas Center, Mandaluyong City. 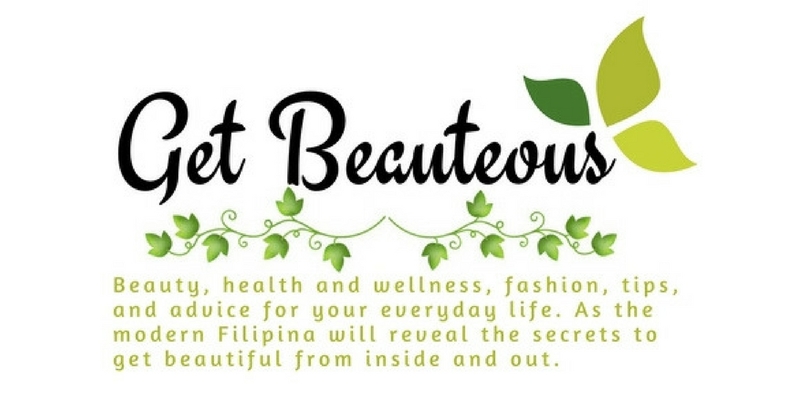 For inquiries and details, call tel. nos. www.americaneye.com.ph for more information about the OFW Privilege Card. appointment planner available at their website. Always stay in the know by downloading the American Eye Center App available on iPhone, iPad, and on Android.